Yesterday, I brought home a new package of 500 sheets of construction paper. As soon as my daughter saw it her eyes lit up. 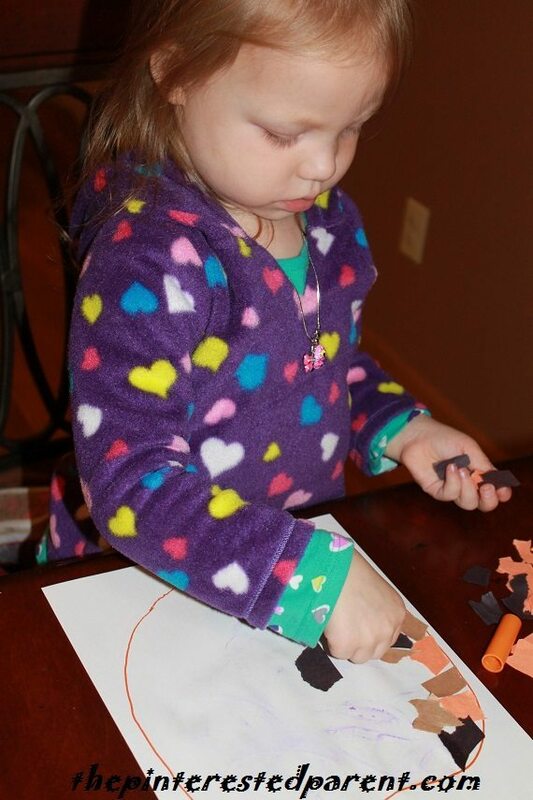 “Mama, I want to make something.” As you know, I never say no to making a craft. I opened the package & she wanted to pull out the paper herself. As she was pulling out the paper, she tore a few pieces off. “Oh no! Mama, I ripped it.” We took advantage of our ripped paper by making a ripped paper mosaic. 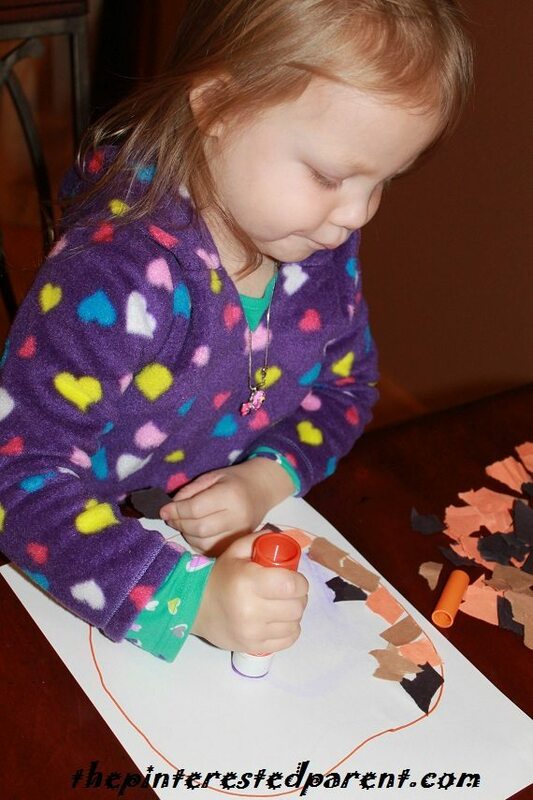 Draw the shape of a pumpkin onto a piece of construction paper. Here is the fun part. 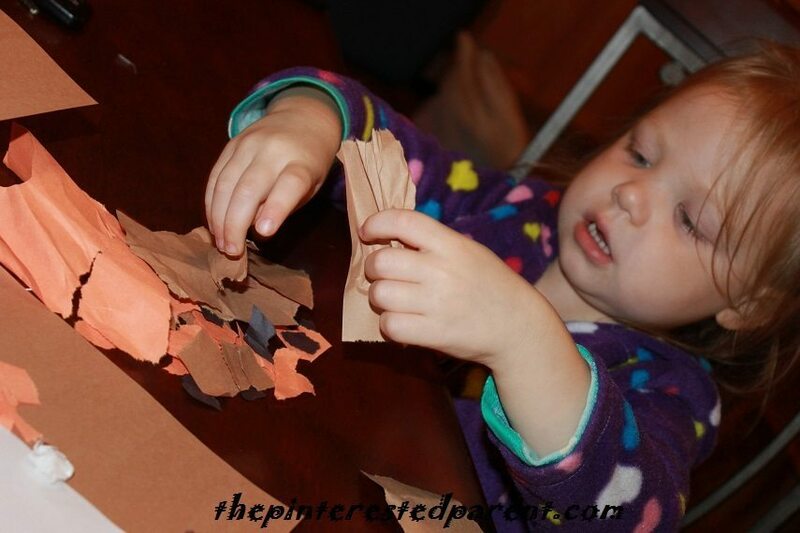 Tear a bunch of paper into small pieces. For our mosaic we used mostly orange, with a some brown & black pieces mixed in. Spread out the ripped pieces & put into a pile. 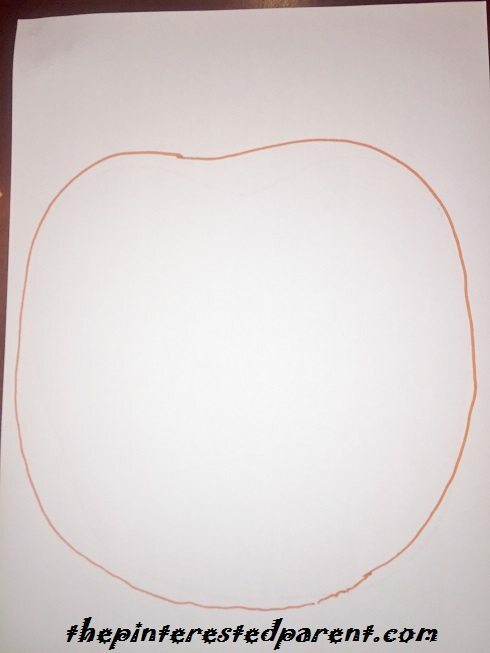 Give your child a glue stick & explain to them to glue the pieces into the middle of the drawing. I told her to allow some space so that there is white showing. She followed the directions well. 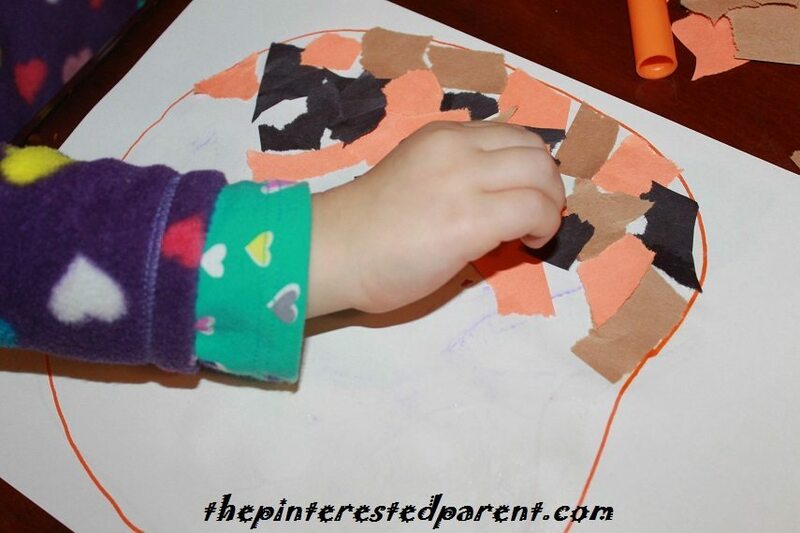 She glued the whole circle first & then put on her torn pieces. About halfway through, she asked me to do it with her. It was fun doing the project together. We cut a stem out of construction paper & drew in a couple of vines to finish it off.